Getty ImagesConor McGregor lost to Nate Diaz in 2016. Conor McGregor has said his most embarrassing moments in life have all occurred on national television. For the Irish striker, nothing is more humiliating than getting your “a– whooped” in front of everybody. McGregor’s victories far outnumber his losses – but he has suffered three defeats in his past five fights in all combat sports. The UFC striker, dubbed “Notorious,” is one of the most famous athletes in combat sports. The 30-year-old is renowned for his devastating left cross super-punch, and his striking ability in general has seen him score knockout wins over top fighters like Chad Mendes, José Aldo, and Eddie Alvarez. With 21 wins (18 by knockout) from 25 fights, McGregor is known more for his victories than for his losses. He has been submitted four times in mixed martial arts fights, however, and lost his only foray into professional boxing when he was outthought, outfought, and outclassed by the unbeaten former five-weight world champion prizefighter Floyd Mayweather Jr. in 2017. It is perhaps because of this that McGregor considers his losses to be his greatest embarrassments. In a Gentside interview from last year, which has only just been published, McGregor was asked what his most humiliating moment was. 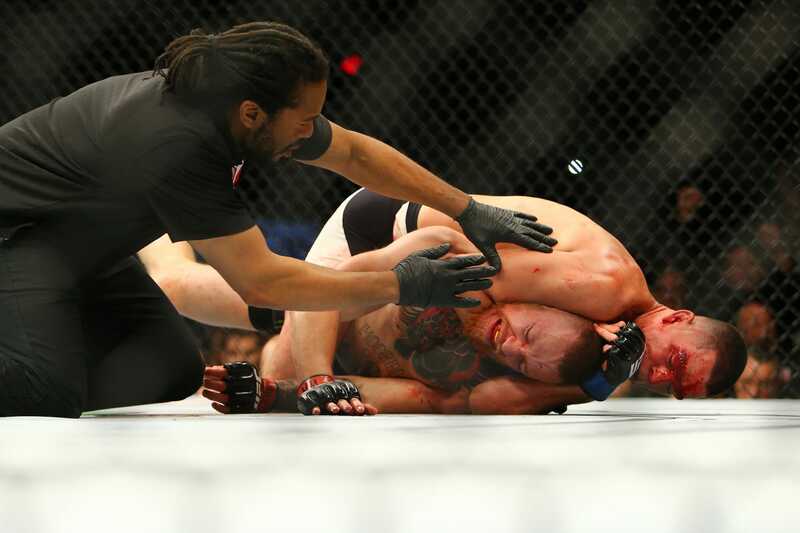 McGregor’s first loss in professional sports arrived in his third fight in 2008, when Artemij Sitenkov submitted him with a kneebar at Cage of Truth 3 in Dublin. Two years later Joseph Duffy made him tap out with an arm-triangle choke at Cage Warriors 39: The Uprising. McGregor then embarked on an extraordinary 15-fight winning streak, including resounding wins over Max Holloway and Dustin Poirier, which culminated with his 13-second knockout over Aldo. But he has lost three times in his past five fights, as Nate Diaz submitted him with a rear-naked choke at UFC 196 in 2016, Mayweather stopped him on his feet in the 10th round of their boxing-rules contest in 2017, and Khabib Nurmagomedov made him tap to a tight neck crank at UFC 229 on October 6. Fortunately for McGregor, his victories outnumber his losses, and he will be looking to return to winning ways when he next competes. When that will be remains unclear, but he has been campaigning for a rematch against Nurmagomedov. McGregor also said he is happy to fight “the next in line” but could even contest a second crossover bout by taking on Paulie Malignaggi, the guy who has been mercilessly trolling him for over a year, in a boxing fight next year.